Can you believe we’ve already reached the last episode of the Subscription Entrepreneur Podcast for 2018? 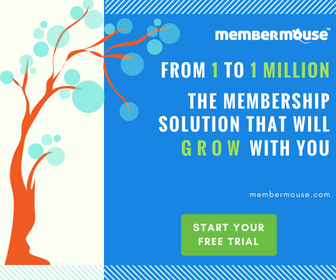 Having the opportunity to interview many people from the MemberMouse community and share their tips, tricks, lessons and insights with you has been a really fun and engaging journey so far. So to celebrate, we put together a special episode for you. We rounded up some of our favorite moments from our podcast in 2018 and compiled them into one episode. If this is your first time listening to our podcast, this episode will give you a great preview of our guests, their expertise, and the helpful topics we cover. We hope you enjoy this episode. Happy Holidays from the team here at MemberMouse! As we enter the holiday season and finish up 2018, we want to express our gratitude to all of our listeners. Thanks for joining us here on the Subscription Entrepreneur podcast. It is our hope that these interviews have been helpful and inspirational to you. ERIC TURNNESSEN: Welcome to episode 112 of the Subscription Entrepreneur Podcast. If you can believe it we’re already at the end of 2018 and this is the last episode of the year. You just heard highlights from our most recent guests. In this episode we’ll be revisiting some of the most impactful things covered in our last 10 episodes. So if you’re just joining us here on the podcast, this will give you a great primer of what we covered. And as we’re entering into this holiday season, I want to express my gratitude to all of our listeners. Thanks for joining us here on the Subscription Entrepreneur podcast. It is my hope that these interviews have been helpful and inspirational to you. So without further ado, lets wind back the clock and revisit the best moments of our last 10 episodes. As always, I’m your host… Eric Turnnessen. Eric Turnnessen: In episode 107, I spoke with Chris Palmer who is the founder of two membership sites: Angle of Attack — which specializes in Flight Simulator Training — and Aviator Training — an online flight school that provides pilot certification training. Over the years he’s served more than 15,000 members through his businesses. In our conversation, Chris shared many of the hard-won lessons he’s learned including the importance of authenticity in today’s economy, customer acquisition through social media, and knowing when to pivot your business. Here are some highlights. Eric: if I’m going to go work with you or, if I’m going to go work with somebody who I know is a small company, it’s a relationship. There’s a component of that and that needs to be honored. If it’s not honored then those people aren’t going to stick around. Chris Palmer: We don’t choose the biggest and best or the cheapest anymore. We choose the one that means the most to us. All the way down to the underwear that we wear. Everything we do if there is some sort of value proposition behind it beyond just the quality of the product, we’re buying into that much more. To teach people about that value that you have, that personable value, you’ve got to be authentic. And I mean true authenticity. I’m not just talking about acting like you’re authentic and doing all these amazing things. Eric: People can smell from a mile away. Chris: Right. They are very in tune now. They can tell what is fake and what is real. Even showing the bad side of – maybe not necessarily your business – but the downside of becoming a pilot every now and again with not being able to eat while you’re in the air, you can’t exactly pull over into a rest stop. There’s plenty of cool to that side of the equation. Again, I think the new economy is a personal economy and I think more and more were moving away from the big businesses to pick those companies that align with their values. Eric: It’s exciting. I think there’s so much opportunity there. Like you were saying earlier, there’s so much to go around and worth talking about in order to teach value. What do you need to do in order to teach value? Nothing. You don’t need to study anything, just bring value. That’s it. Chris: And you’ve got the whole 80/20% rule. You’re basically giving away 80% of what you do and then that 20% is what people end up paying for. Of course, you always want to make sure that it’s in balance. You don’t want to bankrupt yourself by giving everything away. You’ve got to be pretty careful about that. Eric: How are you approaching through your marketing, through your conversations with people and handling the concerns that they may have? Maybe they can’t do it and you’re taking them from the starting point where they’re landing on your site, to purchasing your online training, to going into live ground school with you. Chris: Unfortunately, it’s a bit of a complicated process because there is so much to learn when it comes to aviation. There’s so many steps and I find that the teaching of the Ground School and teaching of the knowledge – the aircraft systems, air space, weather – all those things pale in comparison to just being able to teach people the path to get to where they need to go. When someone approaches the idea of becoming a pilot, they have no idea how to go up to an airport and start to ask. I think a lot of people don’t do it because it’s intimidating and they’re scared of sounding stupid or whatever it is. All of my marketing answers to those issues – what are the steps that it takes to even get to the point where you get started. I find that so many of my competitors in the industry take that for granted. They think there’s, which may be true, mentors out there who do that work and say – “hey you need to take this step that step and this step.” Then you can start taking Ground School or lessons. Well, I’m trying to digitize that and make it a sales funnel. For example, if you go to aviatortraining.com the first thing that pops up is a private pilot action plan. It’s the five steps you need to take before you take your first flight lesson. It’s a very short PDF that I’ve worked super hard on. I created it in three days and it looks really nice. I did it on a template. I happen to be decent at photography as well. I’m on the border between amateur and professional, so the imagery in it is really good. It’s five actual things/challenges for people that they have to know exist to get to the next step. Seth Rosen: Some people love starting things from scratch and I like the process of finding something that has been hanging around for a while, or someone’s lost interest in it, or I really see an opportunity where other people may lack the vision, or time, or interest in pursuing it. I prefer to start from some sort of foundation. I try to find a niche, evergreen businesses. Here’s what I mean by that, content oriented businesses where the nature and character of the content doesn’t tend to change that much overtime. Gems is a perfect example of that. The science of a gem. There’s obviously new things happening all the time, but it’s essentially geology, it’s a subset of geology. It hasn’t really changed that much. Science is a science. Likewise, some of the techniques involved in jewelry manufacturer and repair, some of the best things that you can learn are the things that people have been doing for a very long time and the way that they’ve been doing it. I tend to default back to niches that are underserved. Other people may think interest is waning, where I think there will always be interest. I don’t think gems will go away as an interest. I don’t think jewelry repair is going to go away bas an interest. For whatever reason those niches when I got into them, were not being investigated particularly heavily. There’s no magic to what I do. I try to find things that are interesting to me and also interesting to customers and then I tried to develop the very best content and offering that’s available. I focus pretty hard on being the best resource. Eric: I think you mentioned that there is no magic in it, but something you said dovetails into what Matt and I talked about last week in our call of this nature. An important ingredient is that you do have the interest. Possibly, the reason why the people you acquired it from, the interest wasn’t being lost because of the market it was being lost because the people who were running it didn’t have enough of an innate interest in the subject matter to have the conversations they needed to discover where the opportunity was. Seth: I often thought that, probably for the first five years in this journey, you’re going to get a lucky break or there’s going to be an epiphany of some kind. There is no epiphanies okay. The good news is there’s no one meeting or no one customer or no one bad event is game changing to a degree. Like this is a meeting of a lifetime. If it goes well it’s going to be great and if it doesn’t go well, it will still be fine. That attitude came about after seeing – like holy crap if I don’t make this happen, we got a big problem. Well, I didn’t make it happen and we did have a big problem, but I fixed it. Eric: That’s been a similar experience for me. Exactly what you’re saying. I’m wondering as we continue to do these calls if it’s just you and I happened to be really similar or if this is – or there’s some blueprint or pattern that people who build businesses, like we do – company builders. It’s just a similar Journey. Seth: I have a lot of friends who own a lot of different types of companies, and they would all say the same thing. Either that’s an amazing coincidence or… If you’re reasonably intelligent then you start to see patterns. You say I’ve tried that a couple times and it’s not working, so clearly I need to try something else. You try on a lot of hats as a company builder and as a manager. One thing I would encourage MemberMouse users – not to think of themselves as website people or content people, these are company builders. In episode 108, I spoke with Ali Jafarian — the Founder & CEO of memberdev.com. They’re a design and development agency that specializes in building custom membership sites. Not only has Ali built powerful subscription sites for his clients, he co-founded and ran a subscription site of his own in 2013. Ali is truly an expert in planning, designing, developing, and growing membership sites. Our conversation focuses on the main items to consider before starting a membership site. Ali shares from his wealth of experience about topics like who should and shouldn’t start a subscription site, the amount of time, energy, and effort required to get started, what tools he recommend for membership sites. Eric: I really want to dive into this and discuss – Who are the people who should be starting membership sites, and why? Ali Jafarian: I ask “do you have the bug? The passion? Do you have the drive?” Then, one of the huge components that I think a lot of people drastically miss is – the time. There’s a lot of time required to start, build and grow a membership site, let alone a membership business. It’s not a simple thing. I can tell you that from experience. I can tell you that from helping lots of people do this. So time, carving that out, being what’s realistic. Then the challenge, do you have the grit, are you going to dig in? When I look at some of the people who have succeeded with us and we have helped to grow, a very common characteristic is that these people who grow to six and eventually seven figures are relentless. They will figure it out. Eric: Let’s help people understand from your experience what that process of building out the membership site is going to be like. What are the things that are going to be asked to work on? What are some of the things that may work with somebody else on? Ali: Content creation and management is always the starting point because that’s essentially your product. Next, we get into platform development. This is arguably the trickiest part for do-it-yourselfers. “I have this great content so now how do I put it together on a website, an app or whatever the vehicle is to be able to give it and sell it to people?” This is where WordPress comes in, this is where MemberMouse comes in and various tools come in. It can be very tricky. We always advise people to stay lean with the basics like Google Analytics, and tie into an email marketing provider, preferably one that interfaces with MemberMouse. There’s a lot of these things that add up and you use this word tools and that’s what I like to use as well. They are things that some of them you need – they’re essential and others that can be used to automate things which frees up your time as a business operator. That is the next step. You’ve created content, you’ve got the platform built out, now you’re plugging in tools and integrations, now, we get to online marketing and sales. Now, you’ve got this great thing, how are you going to continue getting people to come into the door, getting people to buy things? Customer acquisition is a tricky thing. there’s a lot of info out there – there’s a lot of really good info, and there’s a lot of really bad info. Filtering that can be a challenge. The basics, going back to the basics that I always start with are, never neglect your email list. Building an email list, and this is something I learned later as an entrepreneur because I didn’t think this was valuable early in my career, I was always focus on building. In reality, if you have this email list, which is such a simple thing and it’s such a low barrier in terms of an ask like “hey just jump on my email list.” Then, you have this network that you are slowly growing over time. You can always reach out to them. It’s not invasive it’s like, “here’s a newsletter, here’s a product offer.” Build an email list. The other thing that I always promote and people either neglect this or choose not to do this is, talk to their early users, especially your early customers. I know for introverts it can be challenging, so maybe there’s other ways that you set up an email or a one-to-one forum would be a really cool way to do it communicate, but you need to talk to them. The early people, especially for software membership businesses, can help you define the path that your business takes. you can’t focus on only on what you think. Yes, your opinion is valuable as a creator, but you need to listen to the market. The market in these sites is your users and members. Eric: That’s a lesson that I had to learn over ten years. In the beginning I spent way too much time getting out a minimum viable product out. Ali: Yeah, everyone does. Most people do. Eric: Well, now I know now. Communication is the key to success. Martin: There are phases as a business and in between those phases there’s this idea of a Valley of Death. Someone else came up with that idea. I remember reading that years ago. But it talks about, especially for startups, what are those phases. For instance, the first phase is you’re trying to figure out the problem-solution space. Once you get a product and you have a market fit, then the third phase is actually scaling those up. In between those, there’s a lot of things you can do wrong and out-of-sequence. That means you hit this Valley of Death and you just flounder and die. It’s hard to know because it’s not codified what you should do in each phase. There’s certain things that you need to do, but there’s a lot of things you can do incorrectly that keep you in that Valley of Death. Eric: One way to look at starting a business is it’s kind of like a sadistic, multi-level puzzle. The first level is really seductively easy. It draws you in. You solve that part of it and then you’re like, “wait there’s another puzzle underneath this?” The momentum of it forces you into solving the next puzzle. It’s not once you solve that than everything is done. No, it keeps going and keeps asking you to reinvent, widening your gaze. You have to constantly keep more things in your field of vision, which means letting go of the past things you got comfortable with and thought you were good at to move forward. Martin: It’s funny how all this stuff become so much meta because of the introspective nature of who we are and how we operate as people. We have all these underlying assumptions. 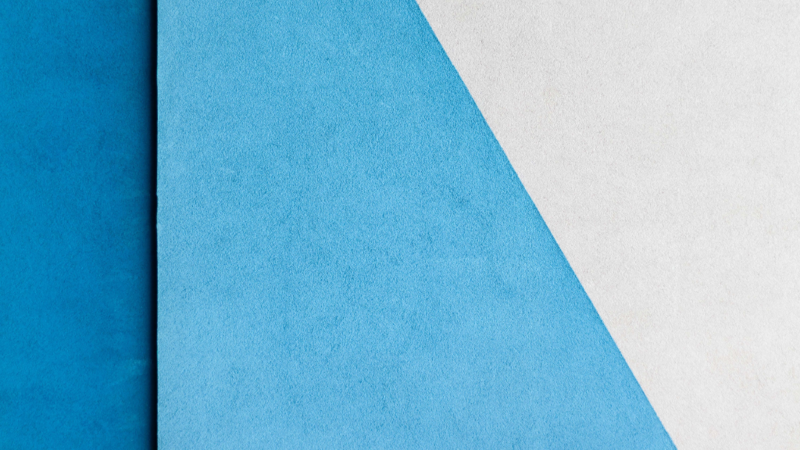 Like, if we send out better emails, we will get better click-rates. What’s that based off? Tell me where the data is that has shown this. Tell me the customer that has said this. Where did we get this? One of the things about bringing someone in from the outside that is really great is – I can ask really simple questions and start to uncover where the problems exist, the solutions and all the underlying bias and assumptions. Eric: And reflecting on my journey with MemberMouse, that was a big thing for me. There was this bleed over space where the ship became big, but I was still operating like it was the Wild West. Like, we can still make decisions based on where we were when we were still just a rowboat. You quickly realize that not all of our assumptions are correct. And it’s far more cost-effective to have a little patience, take the time, test the assumption to ask the questions. Then move forward based on the consensus. Martin: I will start – when I meet with someone, really talking about – do they have a consistent vision of what the company is? If this CEO or the senior-level executives don’t have an aligned vision about where the company is going and what some of the problems are, that to me is step one if you have a big disconnect. Oftentimes that happens. In my process of sitting down with the company, I went around and talked to all the high-level people, including some of the customer service people. It was very clear to me that there was a central theme around where the company was going and what the big problems were. That was great. Then it became more of, how do we do this? In this case the CEO was feeling that he was really good at the product and operations, but he didn’t have a good focus on the sales. He was just spread too thin. In that list, engagement played out and by the end of the week we had a pretty good sense of where we needed to go. We didn’t know exactly how to execute on those, but had spent a good amount of time making sure that we are solving the right problem. Then, you can start diving into what are some ways to solve those problems. In a nutshell, that was a six-month process of working with the CEO everyday, working with the sales and marketing team every day to really tighten up their relationship with distributors, dealers and their customers – a full life cycle tweaking. The way I always break things down is – what’s our big hairy goal that we are trying to achieve in this? How do we measure success and let’s really start getting practical, how do you execute in the next 90 days. So much of what we’re doing, they are the best guesses of what will actually work. That’s why I really like that 90 day goal because you hear this analogy all of the time: you’re taking a sailboat and you’re zig-zagging back and forth. The reason for 90 days and really being able to test your problems on a continuous basis, is you’re trying to limit your zigging and zagging as much as possible. Those zags are really expensive. Clair Whitmer: I will tell you that -I am now referring to this as the Homer Simpson moment, just meaning like “duh.” We did user interviews at Maker Faire New York and across a bunch of different subjects, not just membership. Specifically, membership though. Our question is “why would you want to become a member?” Obviously, that’s the question. The moment was where we had a lot of users say “oh well I’m already a member, I’ve been a member for years.” I’m like, how have you been a member for years we just launched his program in May. They were confused between the difference of our membership program, which is in our minds a specific digital effort and a subscription the magazine. Now that I explained this – it seems so obvious – that goes back to the echo chamber that you referred to earlier. Our business objectives were so clear and our minds that it never occurred to us that this would be as significant a source of confusion as it was. I think that that was probably the biggest mistake that we made. That wouldn’t apply to all membership publishers, who are only digital, but with us with an established print brand – that was the number one mistake we made this year. Eric: I think that does highlight a very critical point about the value of listening and talking to customers. Words are so important. You may be using a word such as “member internally,” but if a community uses it differently, as in “Oh I am a member” – meaning, they were probably talking about I am already an inclusive part of this community. I belong here. When you talk to your customers, listen to the exact words they use because they tell you how they want to be spoken to. Clair: That’s exactly right. If we had done that user-testing prior to the launch of the magazine, we almost would have surely changed the wording in the messaging. Not necessarily the offer, but the marketing around it. And I think the most important thing that you have to do when you’re starting is be able to articulate the benefits of membership from the point of view of your customer. Not from the point of view of the company. You know what the benefits are. It’s Revenue. That’s awesome for you. If you are asking people to spend their time and energy to a pay attention to you and be without their credit card and give you money for it then you have to be able to articulate the benefits from their point of view. That is not as easy as you think it’s going to be. Which is why I would recommend my second most important learning. you may not agree with this Eric, but I am a big fan of the freemium tier. Where you have a correctly articulated level of commitment to what you are going to provide for free so that you are not over-spending on customer acquisition. That you have a channel into your membership program that is an extremely, has an extremely low bar. So, that you have a communication Channel with both you to them and them to you. Kyle Weiger: So mine is, I give them a free video. In the first video I set up that they’re going to want to keep opening my emails. I say, “hey I hate to let the cat out of the bag, but I have another surprise for you tomorrow. Make sure to check your inbox.” I tease it a little bit. My favorite line in there, it’s an old line, but it works all the time. I get a kick out of it. “Be sure to keep checking your inbox for my emails because the next few days are going to feel like Christmas.” I just like that line. The next day I say, “hey surprise, remember yesterday I said I was going to send you a free video. I’m a man of my word, so here you go.” It’s a video on hand placement and some more technical training. Day three, another email – value for three straight days. There are a number of different ways they could go. They either get pitched over to my tripwire offer on day four, which is a $1 video. It’s called the 30-minute handstand makeover. It’s super simple and it’s a dollar. It’s the least amount of money you could charge anybody for anything. You have to break the psychological barrier of them giving you money for something. That’s a big deal – that’s an intimate transaction. It’s money that I’ve worked for and I’ve earned through some capacity. I’m giving it to you in exchange for a product that you say is worth it. How do I know? So, I give them the opportunity to enter at low risk. Once they’re in for the dollar thing, now they’re in MemberMouse. Now they’re a member of my site and they’re part of a community. That’s where I hit them with more value, more free videos and more talking head videos, some training videos and then upsell to the $175 core product – my six weeks to handstand course. Eric: What are you doing to get people upgraded from the $1 to the $175? Kyle: My sales mechanism, if you want to call it that I suppose, I treat handstand like a courtship process. I want handstand to be my girlfriend. I can’t just go for the gold right away. You have to court the handstand. My whole sales thing is we are going to teach you move from just flirting into falling in love with your handstand through a progressive practice. Once they’re in, a good old-fashioned funnel, it doesn’t need that much tweaking. Give them a free product, let them try it, give them more value, give them more value and then ask for a little bit of money for the next product and then upsell, upsell. Eric: What is a tip that you can share with the people listening who may be starting businesses, struggling through the early stages of a business, that can help them to accomplish their goals. Kyle: Just pick your thing. I picked handstand and that’s a super niche market. As niche as you can get. I only do one post, but I teach it a lot. If you’re in the fitness world or the yoga world or really this applies to anything. Take the broad umbrella of yoga, for example, there’s so many different ways you can go with that. There’s yoga for senior citizens, yoga for kids. Dial it down even one more layer and get super focused on what it is you do best or what it is you want to do and do that one thing. If you want to expand from there, then great. Don’t try to be all things to all people. It’s going to be too much. If you’re in the fitness world, what are you doing? Helping people put on muscle, get lean, lose fat, jump higher, run faster, what? Pick a thing. Pick a super specific thing and get known for being ‘the guy’ at that thing. In episode 106, I spoke with Mitch Bowler — the founder of pencilkings.com – a membership site that helps artists take their art and careers to the next level. Pencil Kings provides over 100 courses and trainings from world-class artists on a wide variety of topics ranging from composition & shading to portraiture & animation. Mitch Bowler: I classically under-charge for what I offer to people. You think you want to provide value, but you also forget that you have to feed yourself. If you can’t support yourself then you can’t provide value. There has to be a cycle or a loop that has to happen where you’re able to provide for yourself. It’s really easy to forget that when you’re a creative person because you are so far leaning on one end of the spectrum. I like to describe this as a spectrum, where as creatives we are one end, and accountants and bookkeeper are on the other. That’s something, for me personally, I had to confront in the last 12 months or so to say that I need to be far better at numbers than I am at creating and building things. Eric: And I think creativity is not just something that’s relegated to artists. I think the creative process and possibly why creative people have a challenge truly valuing their work is because it’s a constant evolution. As soon as you’ve done one thing, you already know how it can be better. Mitch: Somebody explained it to me once, and it’s easy to forget to forget as a creative, but there’s a time for sowing or planting. Then there’s a time for harvesting. As creative people we are always planting seeds and creating new projects because that’s just what we do. You actually have to take a step back and think – “if I’m going to support myself and continue on this journey, I need to harvest. I need to put effort and focus into reaping the rewards of the amazing thing I created and not just say that the next thing will be better.” That cycle never ends. You can create endlessly. Eric: Right, because if you’re constantly sowing seeds in a field, you’re going to end up with this huge field full of stuff but you’re going to be starving in the corner because you’re not eating anything. Mitch: I want to go back to this idea of challenging assumptions or thoughts that you have that may not be serving you. So one of the thoughts that wasn’t serving me was that my business would grow. Which seems weird because everything that you read as an entrepreneur is ‘rah rah, let’s grow these businesses. Let’s 10x this, or let’s 30% boost that.’ ‘You’re just one funnel away, one trick away from getting into the fast lane.” But, why if you’re not? Can you still not have a good life today? So, I started challenging everything in the business – is this absolutely needed? That’s where the cost cutting started to come in and the optimization. Instead of building all the time, I took off the builder hat and put on the optimizer hat. I didn’t even realize that these are two different hats that we wear as business operators. Eric: Can we talk a little about how you started making the business profitable? Neely Quinn: The first thing we did was partner with a trainer and his name is Chris Peters. At the time he was pretty well-known climbing trainer. We made an ebook with him and it was this 6-week power endurance training program. We paid somebody to make it into a pretty e-book for us and then we sold it through MemberMouse as a product. It was $39 and I remember the first time we sold one and I got the little email and I was like omg we’re making money! Neely: Then we partnered with another trainer to do a different e-book and then we partnered with some other people who already had ebooks created and we just sold them on our site. All these people were getting a percentage. Then finally we made our first subscription program. Now we have two of those and those are definitely our bread and butter. We are in the process of creating new ones that are more in line with the current thoughts and theories in training. Eric: Again, I think this is amazing. You’re using this strategy of strategic outsourcing and partnership, which is great. You are not putting out everything on yourself and you are allowing yourself to be more nimble and move by partnering with these people who are experts who have a place in the community, somebody who has something to say of value. Neely: At a certain point I realized that I couldn’t do everything myself. You know how it is. There are a million things you could be doing. I was trying to create content and I wasn’t getting very much out there because I had so much to do. I ended up hiring a content manager and during the last four years we have definitely evolved what we’re putting out there. Eric: In terms of your overall audience building strategy, what part do you think that your content creation efforts play in that? What percentage? Neely: I think it’s 75% of my traffic is from organic searches. We’ve put a lot of work into having proper SEO on the site, having keywords that are repeated in articles. And I really think that makes a huge difference. Eric: What’s the remaining 25%? Neely: It’s Facebook. Facebook is definitely #1 and then Instagram has become really big now too. So I know that if I were to be in charge of our Instagram or Facebook, we would do terribly. So that was the first thing that I had to be okay with. And so then what I did was I found a friend of mine who has her own pretty big following, she has 10,000 followers on Instagram just for her own climbing, and she has this way of speaking to people that people really connect with and enjoy. So I asked her to do our Instagram. She has all these ideas. My main point is get someone who knows what they’re doing and is 24 years old, who knows how to speak that generation’s language. Eric: Who’s enthusiastic about it. That enthusiasm is an indicator that it’s a right fit. In episode 109, I spoke with Dan Caron. Dan got his start building websites and marketing products online after his high-school health teacher gave him Corey Rudl’s Internet Marketing Secrets course. In the 20 years since then, Dan has built four seven-figure businesses serving over 100,000 customers. Dan’s an expert in customer acquisition, marketing channels, copywriting, landing page design, and more. Dan Caron: You really need to think about your channels. There’s a great book called Traction. It’s sort of a beginners guide to thinking about channels. One of the things I sort of disagree with in the book is that they say, “treat all your channels equally and go out there and test them all to see what works.” That’s a very sort of an agnostic opinion. It makes a lot of sense, I can see why they say that, but in practice, what I found is that there are one or two channels that work really well. In fact, most successful businesses are only built on one channel. Most successful businesses, we’re talking seven, or eight figures are in general built using one channel. That means that you can do everything. You can do content marketing, you can do paid advertising, you can go to events, you can do press, you can do on and on and on. However, only one of them is going to move the dial. It’s important to think long and hard about your product, about analog products, analog businesses, your competitors. Really look at the channels that they’re using to grow. Then, you have to build your landing page around that channel. Eric: Given the importance that you place on it it, and it makes complete sense to me, while you’re talking about it – to ground it for me, every time I hear you say channels I think about an individual. When I did sales calls with people, I would talk to the individual, I would understand who they are before I started speaking to them. The pitch is different to based on my understanding of who the person is, where they’re coming from, what their journey is. That’s how I help myself really resonate with everything you’re saying and not just lose it because I haven’t necessarily used the word “channel” before. Given the importance of channels, what are some of the guidance that you would offer to help. Dan: You want to know what your competitors are doing and what businesses you admire are doing. You need to figure that out. A lot of that is channel research. It’s channel research and then it’s the hooks. What are the hooks that are working in those channels? Thinking about those two things and doing that kind of research can pay off enormously. It really requires intuition and logic and careful consideration of where those customers might be and how easy it is to reach them. And if your product or service, or a similar product has been sold through those channels in the past. There’s also an interesting the interplay between the price point – what is commonly sold through a channel and the nature of the product itself. That has taken me 20 years to learn that that is really where businesses are made or they fail. It’s understanding those variables and those dynamics. I’d like to say ‘thank you’ again to all of the guests that have joined us here on the Subscription Entrepreneur Podcast in 2018. And many thanks to you for listening. If you’ve found value and enjoyed any of the episodes we’ve recorded this year, please share them with your friends, family, and colleagues. And if you’d like to hear the full episodes with each of the entrepreneurs you’ve heard today, please visit SubscriptionEntrepreneur.com. For the complete show notes and a transcript of today’s episode, please visit SubscriptionEntrepreneur.com/112. And be sure to subscribe to the podcast on iTunes, Google Play, or Stitcher for more interviews with successful entrepreneurs. That’s all for the Subscription Entrepreneur podcast in 2018. We’ll be back after the new year with an exciting episode featuring entrepreneur, Abdo Riani. Abdo has started 3 businesses of his own and has helped thousands of entrepreneurs with their startup ventures. He’s now the creator of StartUpCircle — a resource designed to help entrepreneurs in the journey of building a business. Abdo shares a system he created called the Accelerate Method which can help entrepreneurs build an engaged audience quickly. So from all of us here at MemberMouse and the Subscription Entrepreneur Podcast… Happy Holidays. We’ll see you in the new year. So You Want to Start a Membership Business? How Do I Grow My Membership Site?